Who are Chafing The Dream? How Can You Donate to #ChafingTheDream? Why Run?? There are many more [easy] ways to raise money for Charity right? What better way to begin #Chafing [my new catchy-phrase for blogging on ChafingTheDream…it’ll catch on. Just you wait!] than to begin with my love for running. The only thing greater than my love for charity is my, newly found, love for running. 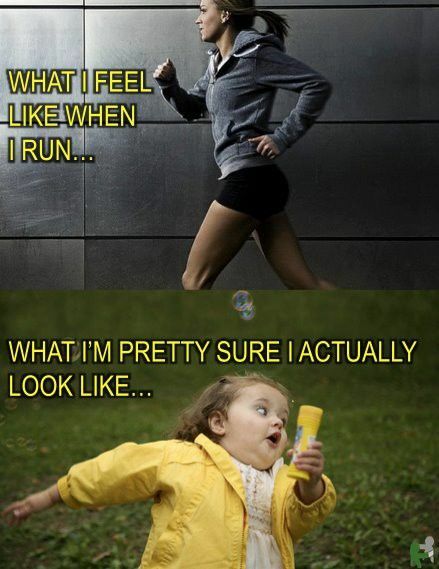 Don’t worry, before you fret that this Blog consists of inspirational athleticism, I have never been a natural runner. No I hear you say… well Yes apparently so! Shocking I know, and I apologise for breaking any mental images you may hold of an Adonis typing away at the keyboard. 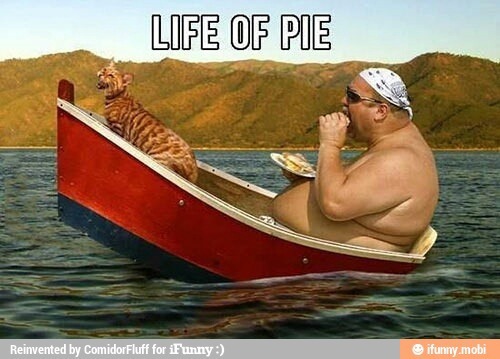 Quite frankly, I was allergic to exercise: a sickness made worse by an unfortunate love for all things cake. Before you laugh, you can be allergic to running: Exercise Induced Anaphylaxis is the snappy title. 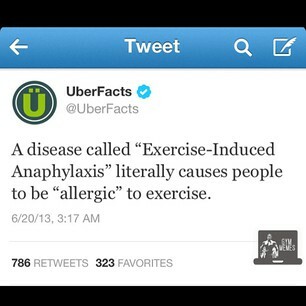 But no, joking aside I wasn’t allergic to exercise. Just a larger-than-life kid who grew up on the wrong side of the track [running track that is!]. But then I decided to drop the weight and begin my running adventure. An easy journey it was not, but years in I don’t think I could ever stop. However, I can’t admit to be either a professional,or evenan attractive runner: imagine a penguin crossed with a rhino bobbing away down the road, contently of course, and you are probably close to the natural wonder that is me attempting to jog. So after the cheeky snap shot of my brief running life, I have decided to dedicate my running to charity. What’s better than to do what you love and help others at the same time?? A winning life formula: expect my self-help life guru book to be with you shortly! Ok, so I’m not quite hitting philanthropist of the Globe 2013, but every little step in the right direction is good enough for me. And so here I am, currently dying at my chair, legs feeling like jello, after another run in the build up to the Cardiff Half-Marathon in October. Nothing too crazy to report on todays run, no fellow joggers outside [probably enjoying their evening in the sane way, out of the rain]. Just me, my waddle, and my ipod blaring Rudimental across the Welsh valley hills. So wish me luck, I’ll be posting more comical #Chafes [it will catch on!] for you to enjoy soon!! Please feel free to drop a comment, any training tips, music suggestions or inspirational words of wisdom. Why should you watch the 2014 CrossFit games? Autumn’s Here… grab your thermals.